Desert Palms Presbyterian Church: Home: Women's Retreat- Save the Dates! Women's Retreat- Save the Dates! Women’s Retreat - Save the Date! 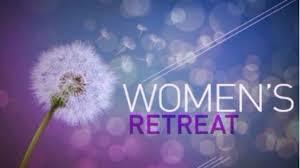 This year’s Women’s Retreat will be held May 7-9 at Chapel Rock in Prescott. Our featured speaker will be Rev. 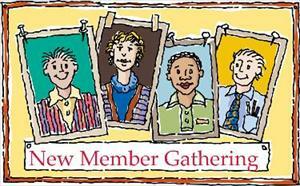 Dr. Judy Siker and our theme will be – Finding God in the Questions. What are your questions? How can you find God in the questions of your hearts? What are God’s questions? What can they teach us about ourselves? Reserve the dates on your calendars and join us on the retreat as we work together to live in, wrestle with, and raise questions; as together we seek God in the Questions. Each day will include presentations by and dialogue with Dr. Judy Siker, small group community, opportunities for fellowship, creativity and worship. For most of us, the pace of daily life can be pretty hectic. Because we’re always on the go, there isn’t much time to think about the things that are truly important in life. At Chapel Rock in Prescott, the peace and solitude provide a chance for you to get away – to take time to reflect, refresh and renew. During this time away, you may even discover the inner strength to help with issues that you are facing. A retreat is also for those times when you are feeling happy, and thankful for your many blessings. What better way to deepen your spiritual connection with God! Look for the Women’s Retreat Table in the Fellowship Hall for registration forms and to sign up for the retreat.